Every month we spend an evening scouring the pages of the latest issue of Previews and pick the titles we are looking forward to the most. This month it's the November issue which includes comics scheduled to ship in January 2019. James R: Now this is the way to kick off 2019: we head back to the world of Teeg Lawless and Co. as Criminal makes a triumphant return. Having reminded us of their greatness with the excellent graphic novella My Heroes Have Always Been Junkies, writer Ed Brubaker and artist Sean Phillips take us back down the mean streets for more top-drawer crime tales. The promo material from Image says this is “The most acclaimed crime comic of the 21st century” - and they’re not wrong. 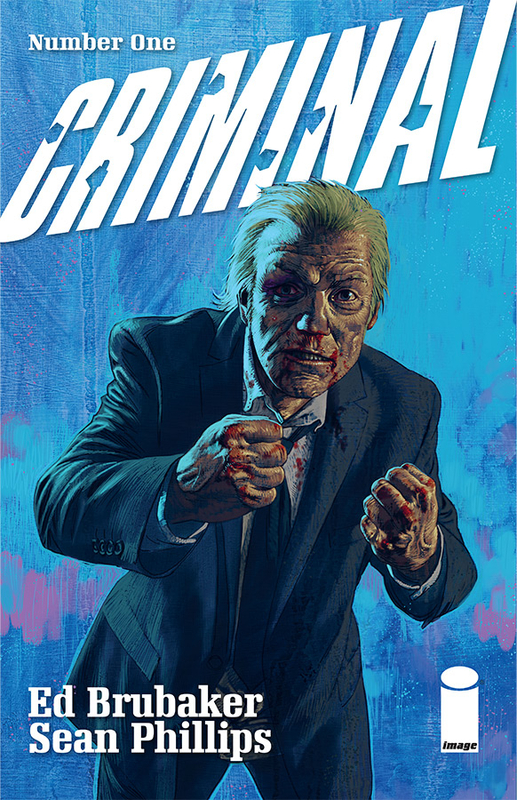 If you haven’t read Criminal before, this will be an excellent place to start, but for the rest of us fans it’s simply brilliant to have this title back as an ongoing series. The icing on the cake is that it’s a double-sized issue for the regular price of $3.99 - that’s amazing value for what’s bound to be the first must-read comic of the year. Matt C: The Cimmerian warrior returns to Marvel after a long stint at Dark Horse with a writer who is perhaps the best qualified at the moment to tackle his bloody, brutal adventures. 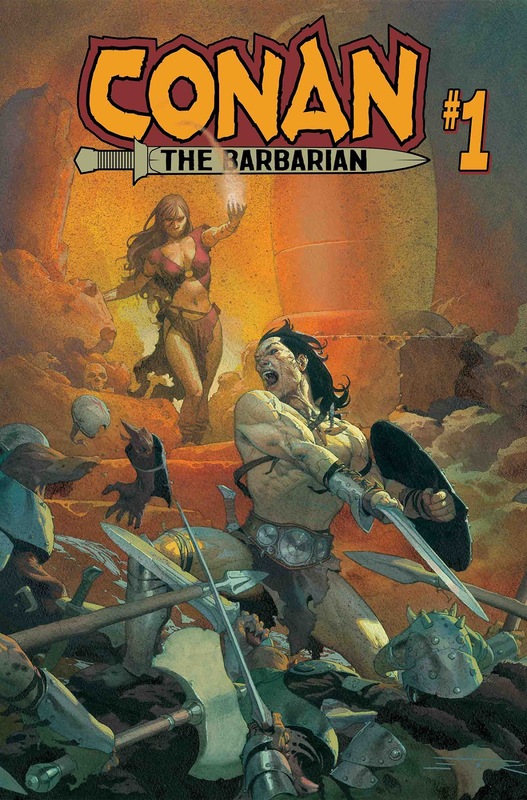 Jason Aaron has repeatedly shown he's adept at portraying flawed, dangerous masculinity (see the likes of Scalped, Southern Bastards or, indeed, Thor for evidence of this) so I'm expecting him to do great things with Robert E. Howard's most famous creation. The artwork from Mahmud Asrar looks suitably muscular and energetic, and while I bailed on the Dark Horse line pretty much around the time Kurt Busiek left, I feel as though I may need a healthy dose of barbarian action to set 2019 rolling. Crom! Jo S: Not strictly a comic book per se, this miniseries features prose provided by Oscar winning screenwriter John Ridley, with accompanying illustrations from a different featured artist in each issue. Ridley explores the mythos of a different DC character in each episode, with a focus on heroes who come from a background disenfranchisement. 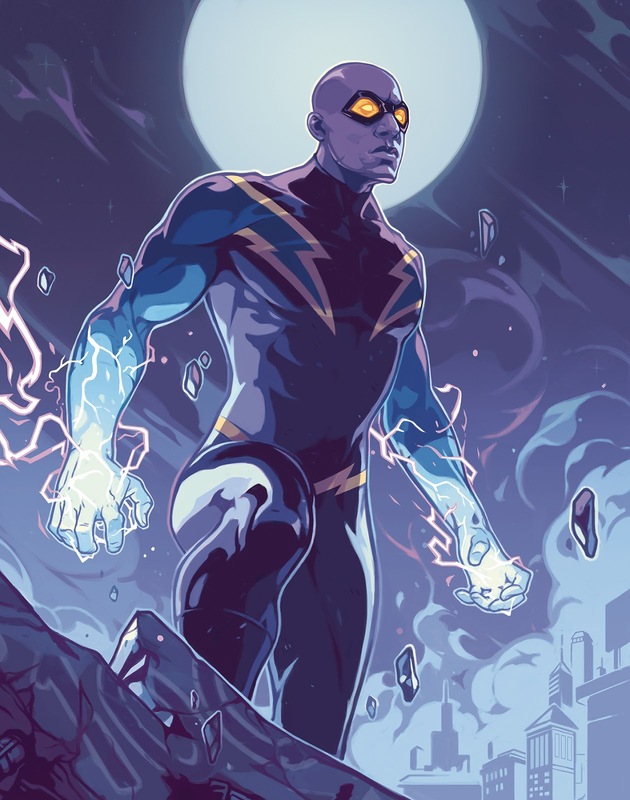 This first issue follows Jefferson Pierce, pursuing his career as a track athlete and then a teacher, and exploring how his roots led eventually to form the foundations his heroic alter-ego, Black Lightning, with illustrations from Alex Dos Diaz. The roll-call of characters also features Karen Beecher and Mal Duncan (Bumblebee and Vox), Tatsu Yamashira (Katana) and one of Gotham's finest, Renee Montoya. Ed Piskor's X-Men Grand Design used existing characters and backstory to blend into a fascinating ‘based on a true story’ type of narrative: the characters here are more obscure but Ridley appears to have similar designs on creating a credible ‘history’ of the ordinary people who became extraordinary against - or is it partly because of? - the odds. Kenny J: This title benefits from my current obsession with the Netflix Daredevil series. DD has always been one of my favourite characters but recently he's been amiss from my comic purchases. Funny then that I would chose this title to jump back as it follows the 'Death of Matt Murdock’ storyline in the main book. I'm hoping that this five-issue miniseries focusing on the supporting cast dealing with Daredevil's absence will spin into a completely new direction. One of the strengths of any Daredevil tale is its numerous players all with fleshed out with characteristics and histories of their own. I look forward to seeing how they react to a world without the Man Without Fear. Andy H: Anthology titles have always been a funny thing. They seem to do well in the UK - just look at 2000 AD - yet in the States it never seems to stick except, possibly, the first run of Marvel Comics Presents, which ran for 175 issues with its wonderful mix of stories, creators and of course, great double covers. Remember, this is the series that bought us 'Weapon X' by Barry Windsor Smith, something that, had it appeared these days, would have its own miniseries at least. So, will it work today? It definitely has a chance when you look at the creative talent in issue #1: Charles Soule, Ann Nocenti and Greg Pak. 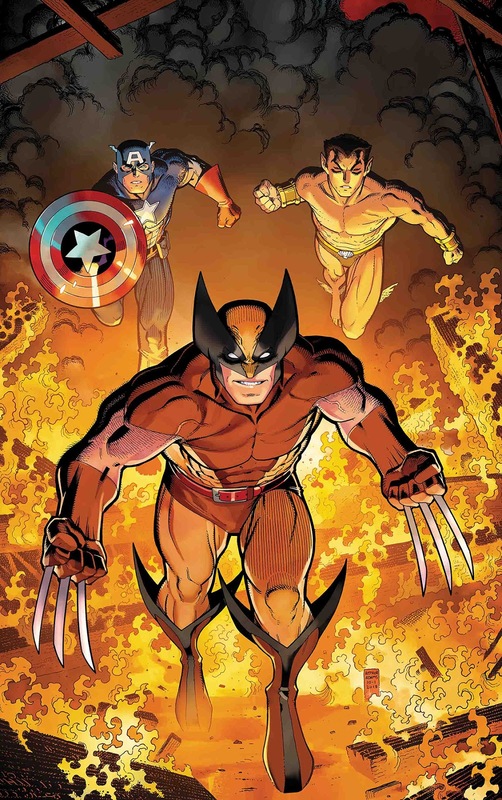 The featured characters are top rate too, including Wolverine, Captain America and Namor. Will it be enough to interest the readers and will they even notice it among the pile of other new titles hitting the shelves in January? The Art Adams cover should help and I'm sure and, like me, there's a few of us who would pick this up for a big dose of nostalgia. 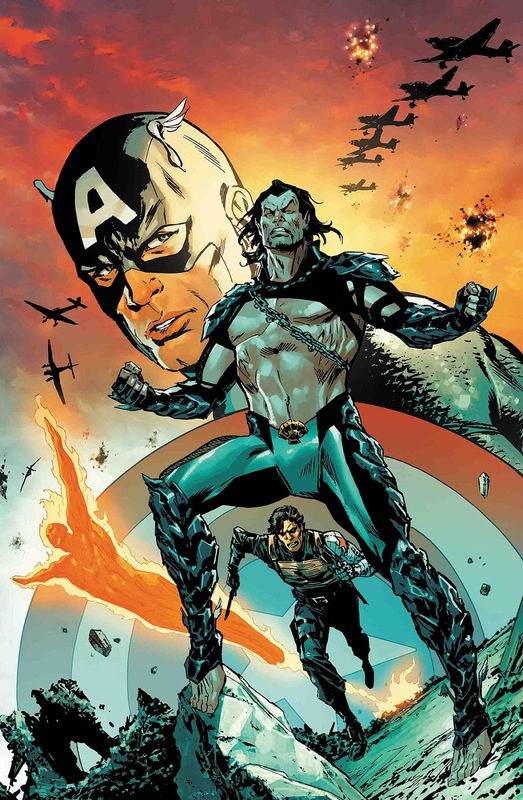 Matt C: I'm still after a gritty WW2 series featuring Cap, Namor, Bucky and the original Human Torch but I think I'm going to have to make do with flashbacks only for the time being as this new iteration of the team seems to be more firmly rooted in the present. I understand that Namor is currently displaying his more villainous traits elsewhere in the current Marvel Universe so it will be interesting to see how things progress forward from that starting point, but I've been really impressed by Chip Zdarsky's writing skills over the last year or so (particularly in Marvel 2-In-One) - the man's got real skill with dialogue and characterization - so I'm optimistic he's found a way to make these Nazi-bashing heroes relevant again. There, after all, still plenty of Nazis to bash out there! 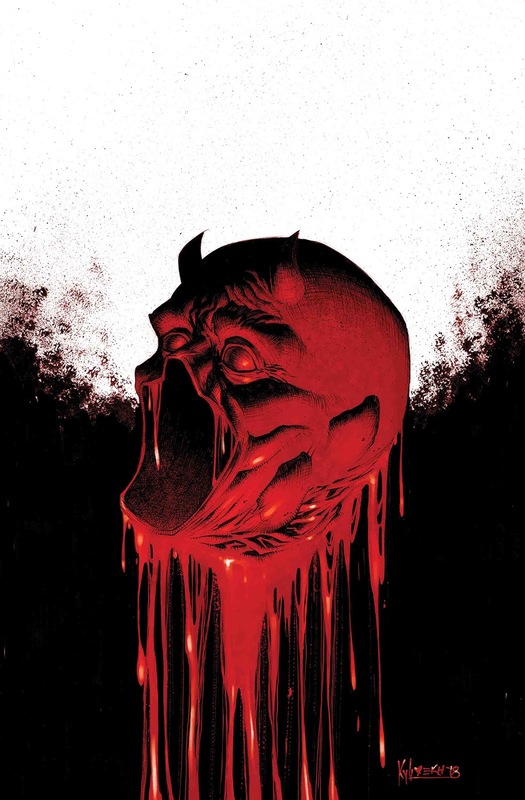 Jo S: Donny Cates is forming something of a habit recently by setting up a big reveal in his new comics - his cards were kept very close to his chest for last week's first issue of Marvel Knights: 20th, and with good reason (no spoilers, but it was definitely worth weathering the preceding lack of info) and it seems as though there will be some surprises in this new outset for the Guardians. 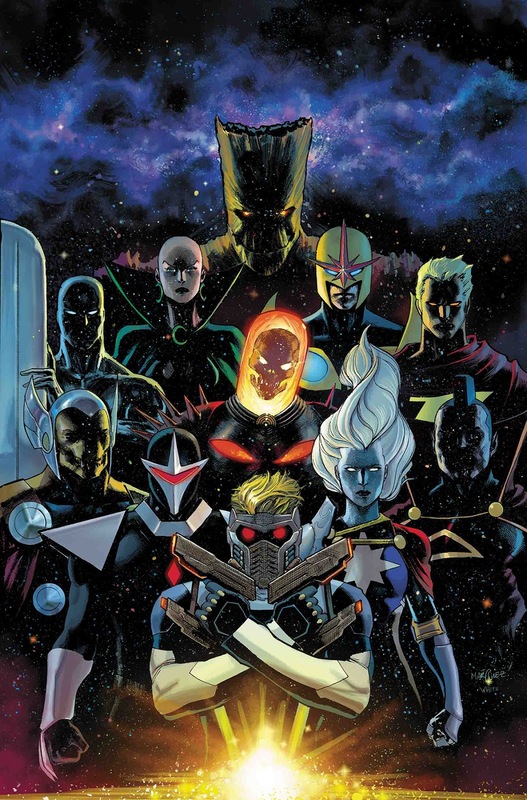 Cates and Shaw have played a teasing game with us so far - rather than leaving us completely in the dark regarding the new team roster, instead they released a teaser image with a pantheon of possibilities: a fun project for a beginner such as me, playing Who's Who with the likes of Cosmic Ghost Rider and Galactus along with more expected favourites but giving nothing away in terms of the dynamics to be expected from Star-Lord's new rag-tag band of off-beat heroes. I trust you though, Donny, and Geoff Shaw's art looks very pretty, so this one asserts it's position in my pull-list. Kenny J: Having read thew first issue of William Gibson's Alien 3 adaptation this week I'm in the mood for more. 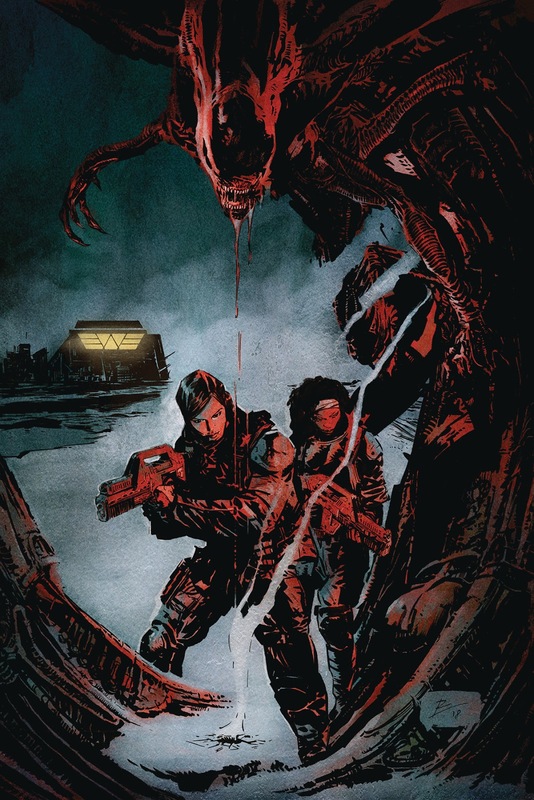 Set in the video game tract of that universe, Aliens Resistance follows on from Brian Wood’s previous foray into Xenomorph territory, Defiance, a book I heard good things about. If anyone has read The Massive or Northlanders then they will know that isolated conditions and stern protagonists are a bit of a forte for Wood. The Robert Carey art previewed reminds in part of Amy Reeder's. One of my firm faves; all rounded dark lines and cumbersome industrial tech. The perfect fit to draw these sleek killing machines in human-wrought environments. Even more perfect for a Brian Wood penned script. James R: Fight Club... 3? I’m picking this up out of both curiosity and brand loyalty, but I readily admit - this one looks a gamble. When Chuck Palahniuk chose comics as a medium for a sequel to his most famous and iconic novel, it looked gimmicky, but in my view turned out to be a masterstroke. 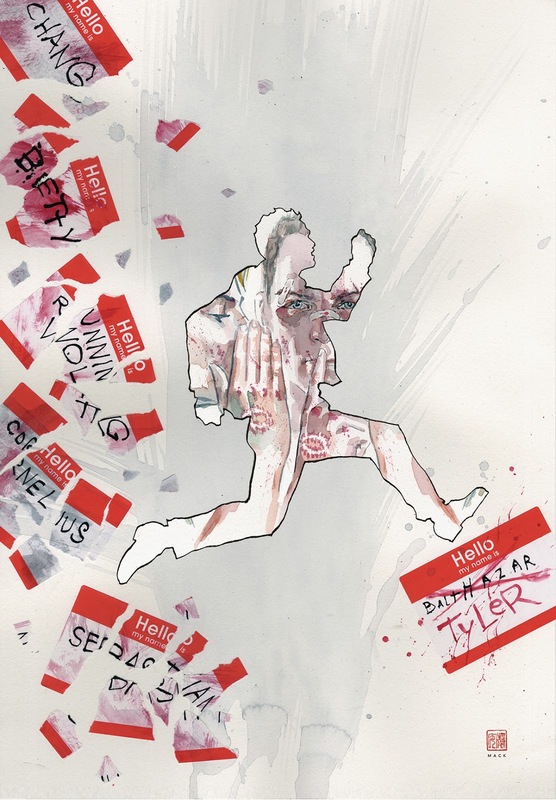 He used the series to show how an idea can truly take on a life of its own beyond the control of the author, and as such, Tyler Durden returning in yet another medium showed that he’d become almost a living, breathing character. That said, by the end of that run, the story felt played out, and as a result I’m ambivalent about a third instalment of this series, especially one that sees the Narrator (now going by Balthazar) teaming up with Tyler Durden. One thing is for sure, the book will look fantastic - Cameron Stewart did some of the best work of his career in Fight Club 2, and I’m pleased that it’s the same creative team responsible here. Palahniuk’s novels have lost their edge of recent years (for example, his latest, Adjustment Day makes frequent references to Fight Club; self-referencing in novels is never a good sign) so I await Fight Club 3 with great interest and a touch of apprehension. 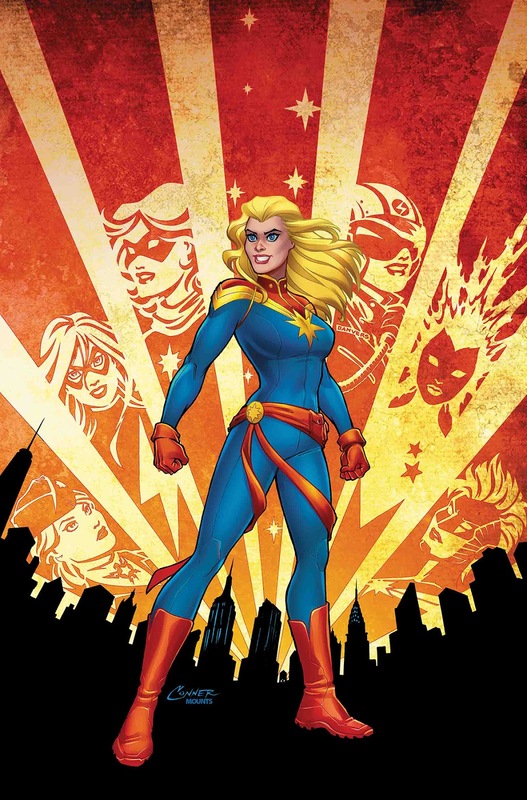 Jo S: I'm going to admit from the start that I feel like I've neglected Captain Marvel in my short time reading comics so far - a number of options to pick up her story have presented themselves but I have skipped them until now, and freely confess that I would probably have continued that way had this new series not featured one Kelly Thompson. Thompson’s Hawkeye series was one of the first to really capture my attention when I was starting out, and I'm glued to her West Coast Avengers now; witty and intelligent, she writes a good team as well as strong, interesting, complex women. My lack of enthusiasm for Danvers-led stories previously may stem from her seeming a bit too clean-cut, a bit perfect; I am prepared to be re-educated on this. Initial artwork from Carmen Carnero looks very nice indeed. Kenny J: When I heard that Buffy was going to be rebooted on TV my excitement levels peaked, but that is a long way off. That means this generation is well overdue their Slayer. Thankfully, BOOM! Studios have stepped in with their new ownership of the Buffyverse along with a brand new creative team. Jordie Bellaire is writing this brand new take on the Slayer with Dan Mora on pencils. The more I see Mora's work the more I think he is a perfect fit. Able to bring forward the weird and creepy but also to let those lighter moments shine through. A skill absolutely imperative in order to draw Buffy, her Scooby Gang, and the vampire horde.